Booking: The course is FREE but booking is essential. Places are limited to 25 people on a first -come- first- served basis. Dorset County Council in partnership with Dorset Community Action is offering a free technical training course on using a thermal imaging camera for heat loss surveys of domestic properties. The training is aimed at community volunteers who have experience of using a thermal imaging camera and want to learn more about interpreting thermal images. 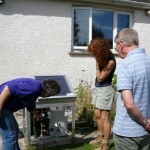 Also community energy groups, Transition Town groups and others who have access to a thermal imaging camera. Dorset Energy Advice Centre can provide free loans of a thermal imaging camera to local community groups. The workshop will provide practical advice on using a thermal imaging camera for domestic home energy surveys. The training will cover applications for domestic thermal imaging, limitations and problem areas, interpreting thermal images, etc. It will not cover the basics of how to operate a thermal imaging camera. Case studies of domestic thermal image surveys will be presented. 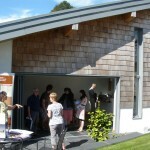 Dorchester recently had its first weekend of free visits to eco-homes, on 8th and 9th September 2012. The weekend was part of Architectural Heritage Week and was organised by greendor, a local community project. 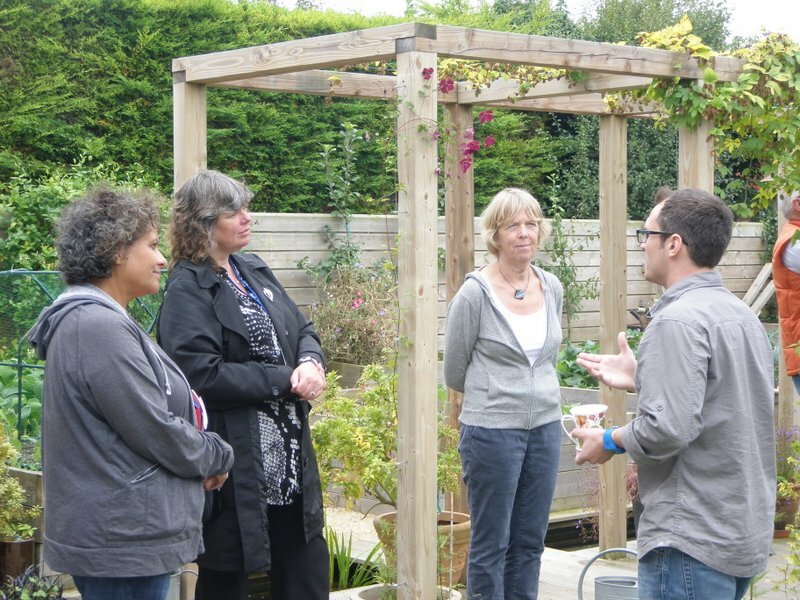 The event was a great success, with over 260 visits to the seven homes that were open over the two days. Visitors commented that they found the visits “inspirational” and said it was “lovely to have such informed people to tell us about it”. 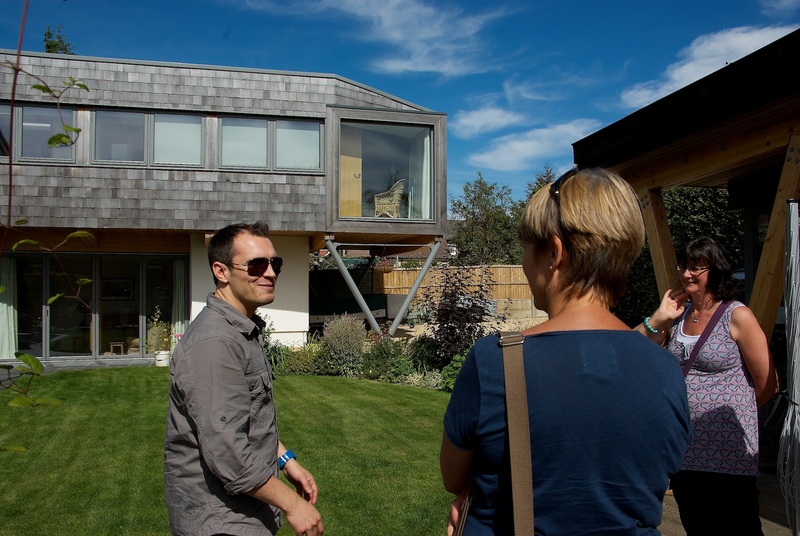 The open homes ranged from an individually designed low-carbon home built in 2010 to historic Listed Buildings that have been adapted for low-energy living. 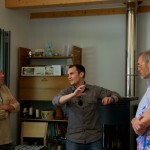 The aim was to show in a practical way how people can save energy at home and still be comfortable. In fact by saving money on their fuel, water and electricity bills they can lighten the load on the household budget. At the same time it’s helping Dorchester to move towards lower-carbon living, which we all need to do as oil is getting more expensive and climate change is increasing. Many people expressed interest in following up their visit, and greendor is planning some further events. 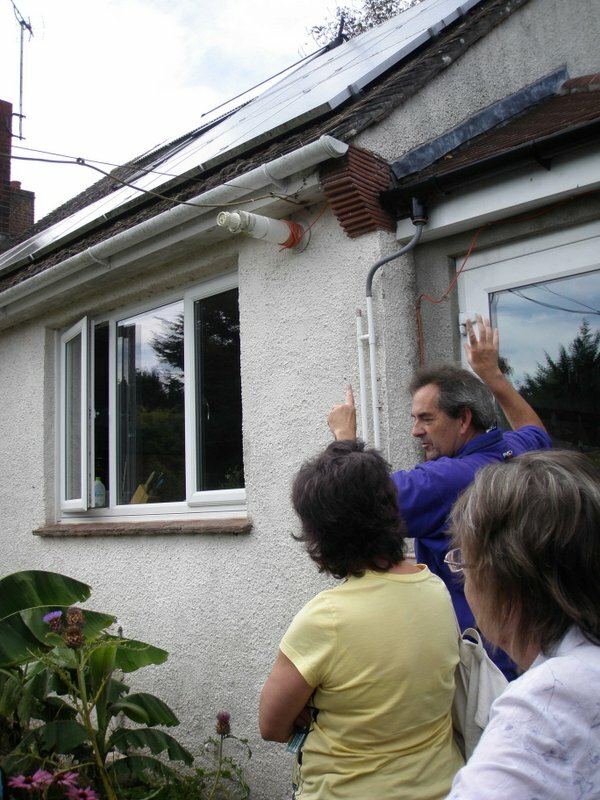 Ideas include : an opportunity to use a thermal imaging camera, which can show up where heat is leaking out of a building; home visits by local independent energy advisers; talks by energy and building experts; and small home-based groups where people can learn together about greener living. Anyone who would like to know more about these events is welcome to contact Sally Cooke at greendor2012@gmail.com or 07794 432 297. 1. greendor is a newly started community initiative. It works in association with Transition Town Dorchester, and is grateful for a small grant from Dorset County Council towards the costs of the weekend. 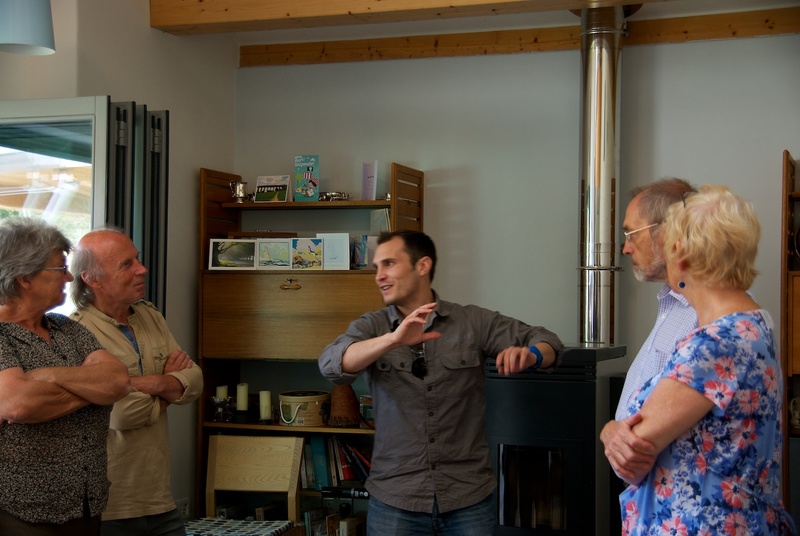 It is also very grateful for practical help from Dorset Energy Advice Centre, and for the generosity of the eco-homes hosts in opening up their homes. We also appreciate the help of East Dorset Heritage Trust, who administer Architectural Heritage Week in Dorset. 4. The building industry employs over 2 million people in the UK, and has great potential for transforming the country’s building stock. 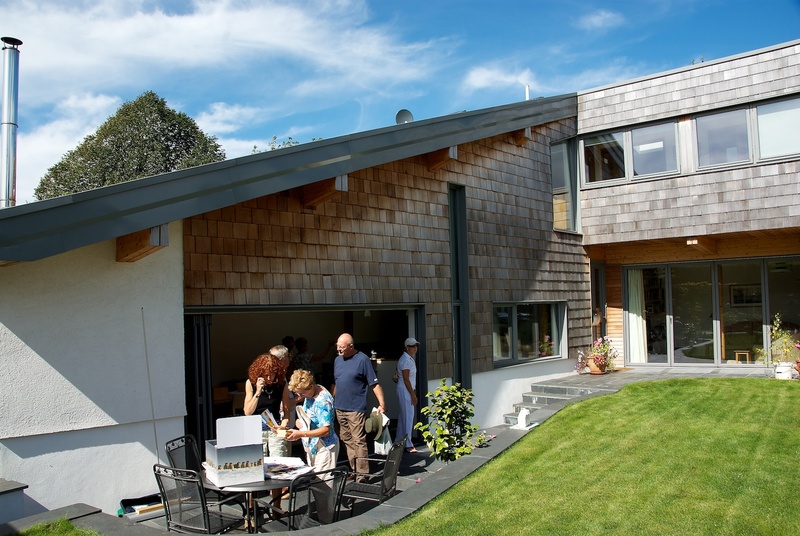 Providing an opportunity to see the skills that are involved in low-carbon building or re-fitting has been one of the aims of the open eco-homes weekend. Guests from the local planning and building sector attended a special event at the Chalk Wall House, Dorchester, on Sunday 9th September. 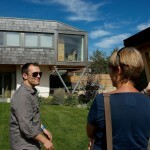 Dorchester’s first open eco-homes weekend is coming up on 8th and 9th September 2012. Visits are FREE but some need to be booked in advance. With fuel prices and government policy all pushing us to save energy, this is an excellent chance to find out how local ‘green’ householders are cutting their bills. The homes taking part include a Listed Building, homes in Conservation Areas, a modern terraced house and an innovative self-build, finished in 2010. All have been designed or adapted to save energy and other resources. 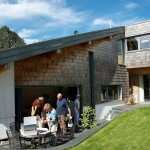 Visitors can exchange ideas with home-owners, and hear what has worked well – and not so well. Click here for more details of the homes. There are energy-saving features, including electricity monitors, as well as poly-bead, mineral fibre and sheeps-wool insulation. 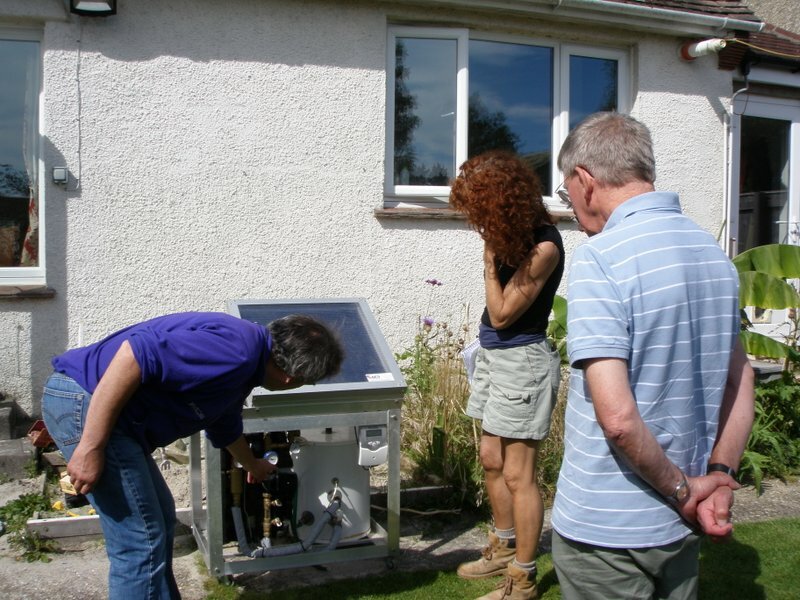 Renewable energy installations include solar PV and solar hot water panels, and heating with log stoves and wood-chip. Other eco-features include rainwater recycling and eco-paints; one home even boasts a solar-powered garden railway! The main booking period is open until mid-day on 17th August ; any places remaining after that will be released on a first-come, first-served basis from 25th August. 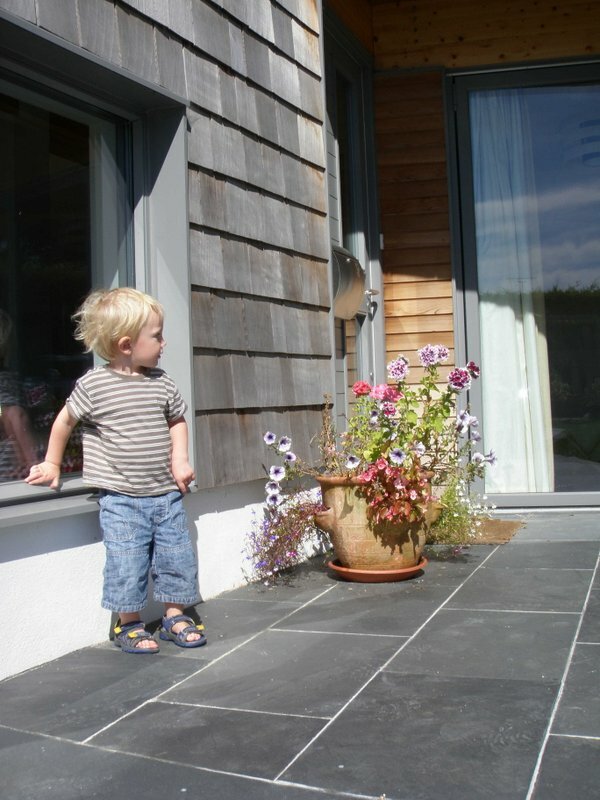 The eco-homes will be open on Saturday and Sunday 8th and 9th September. Click here for booking details. 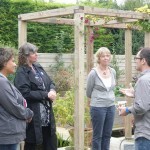 The event forms part of the annual Heritage Open Days, and is supported by members of Transition Town Dorchester. 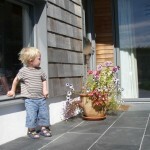 Greendor Eco-Homes Booking Now Open! 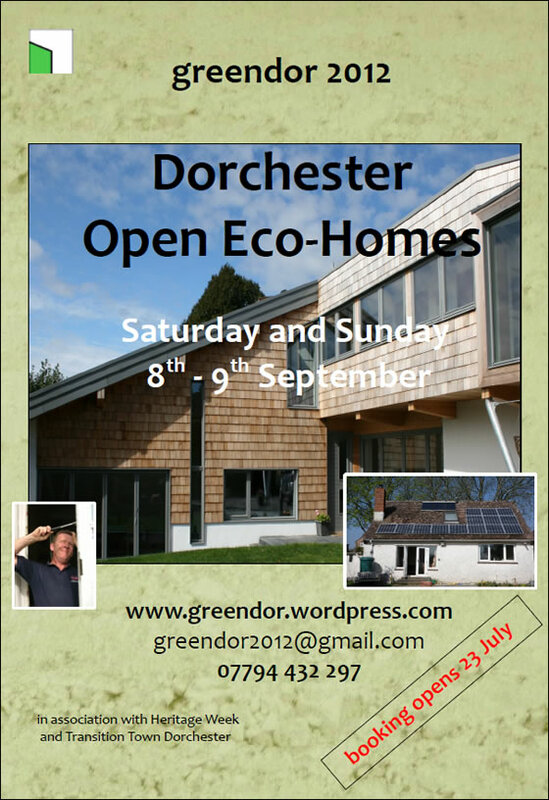 greendor 2012 is Dorchester’s first Open Eco-Homes weekend. 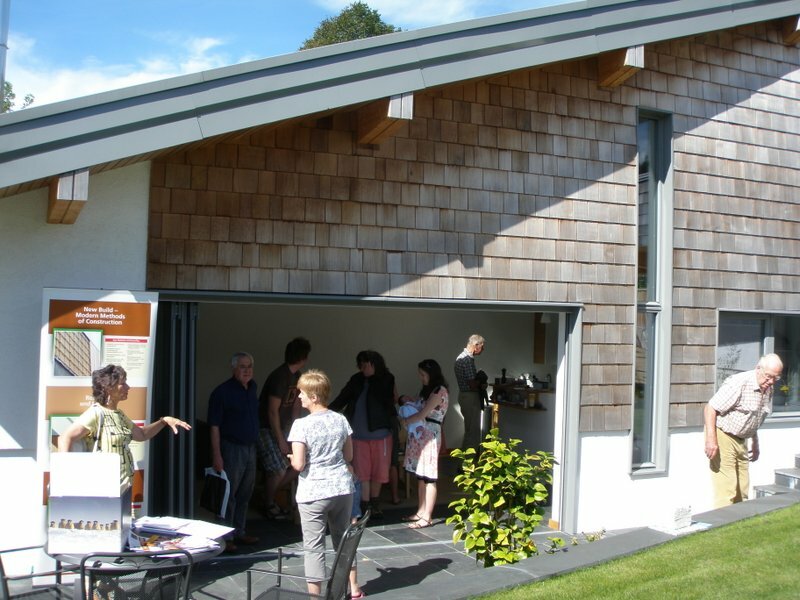 Homes with eco-features will open up to the public on the weekend of 8th and 9thSeptember, during the annual Dorset Architectural Heritage Week. 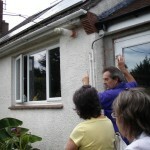 A chance to see how to green your home, and chat to people who’ve done it. Bookings are now open – visit the website to book: http://greendor.wordpress.com. Please download, print and post or forward on our poster here: Download the greendor poster.